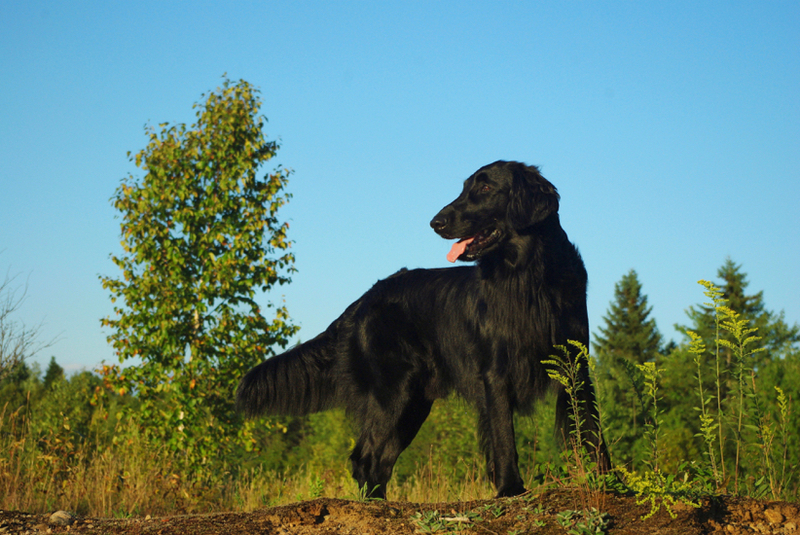 Coming from a family of Best in Specialty Show winners, Cosmo is of superb Flatcoat type and, with his lovely head, twinkling eyes and beautiful coat, gets a lot of attention. 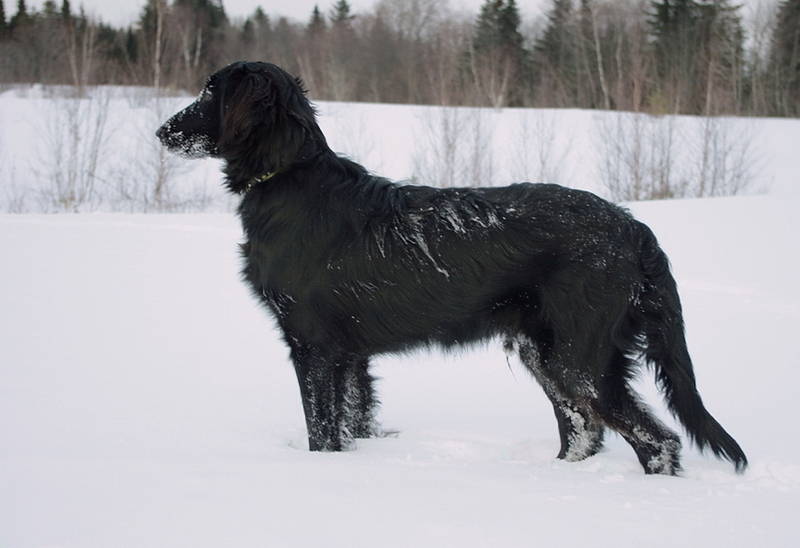 He is well structured and nicely boned with good forechest and prominent prow, strong rear and perfect tail set. 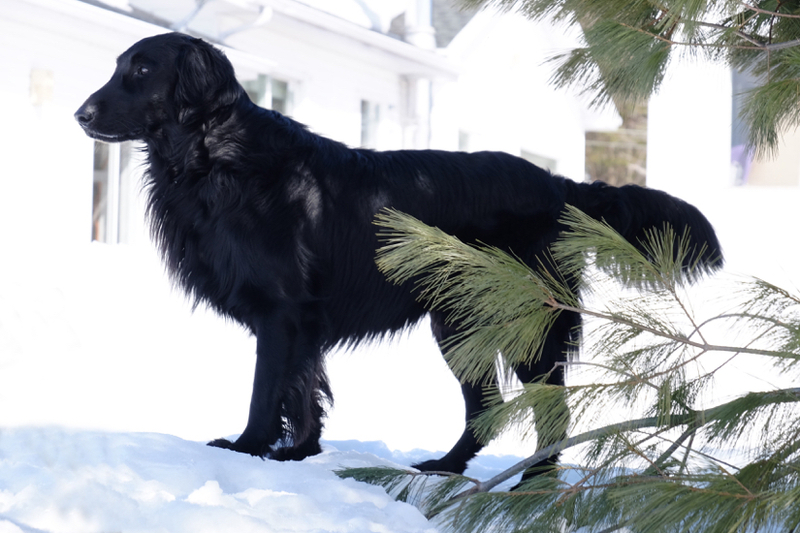 He stands at 23” at the withers and weighs 65 lbs. 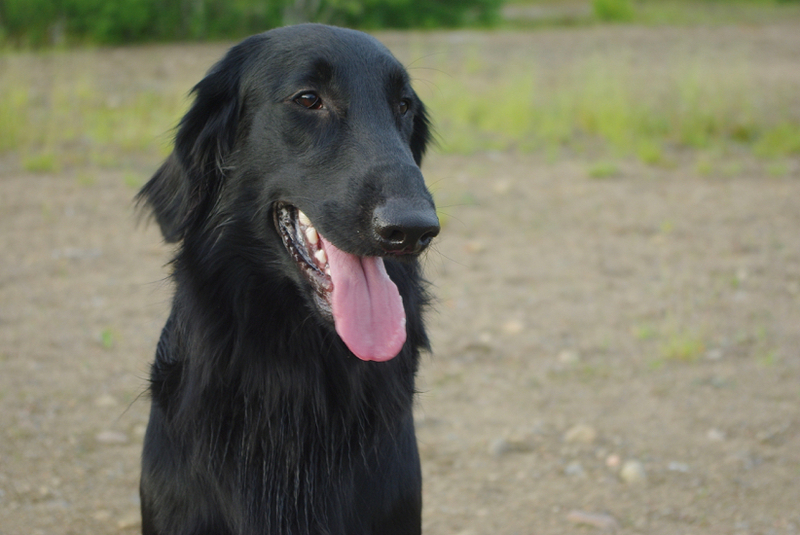 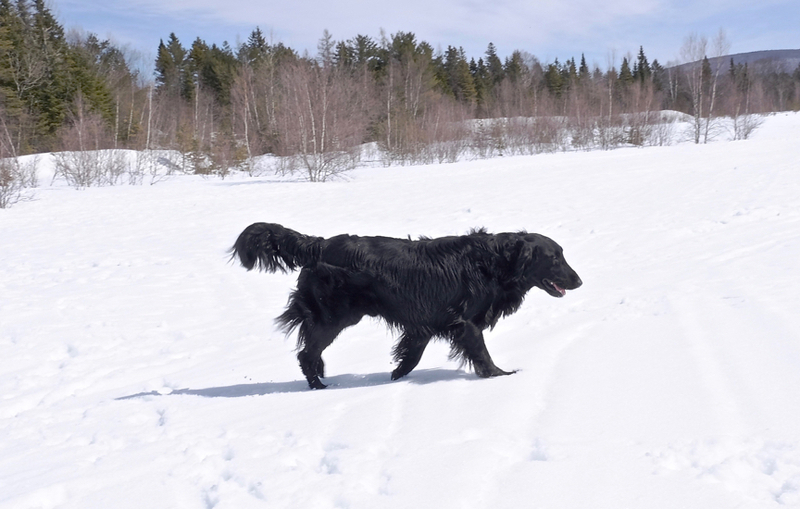 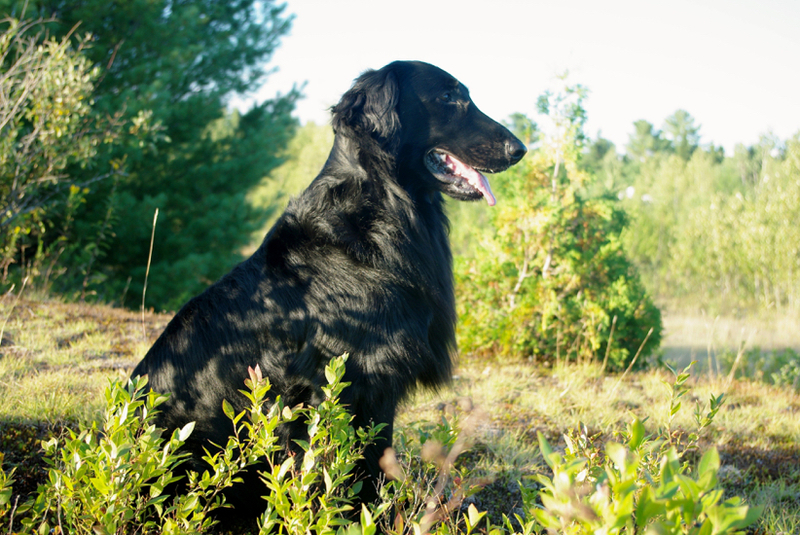 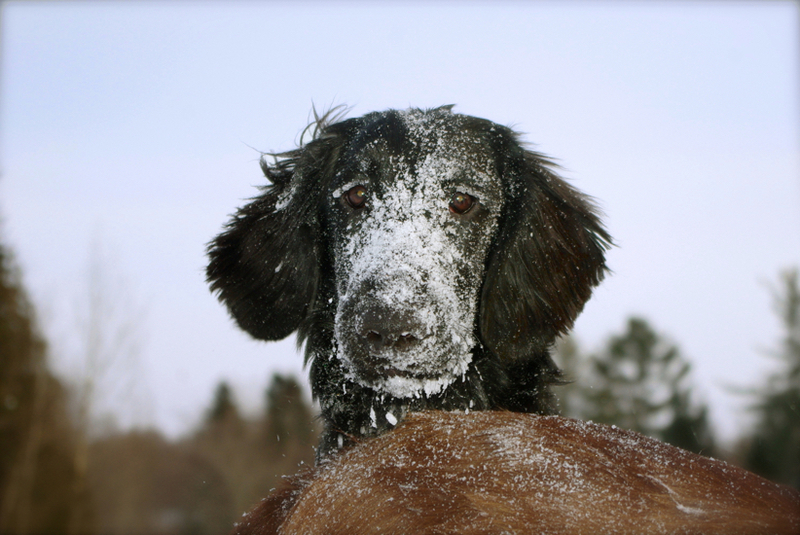 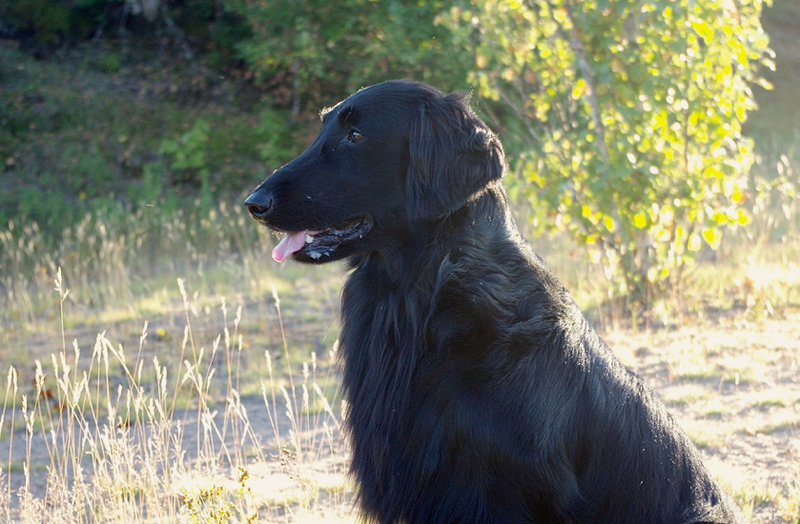 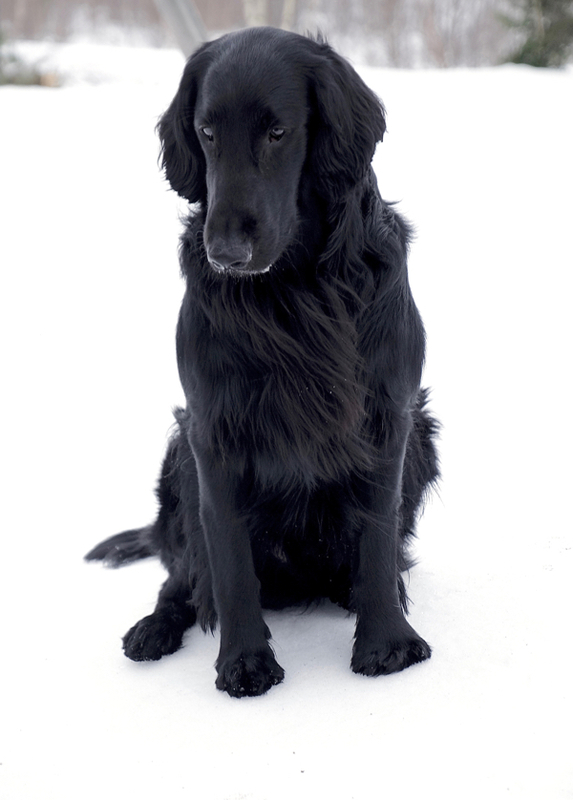 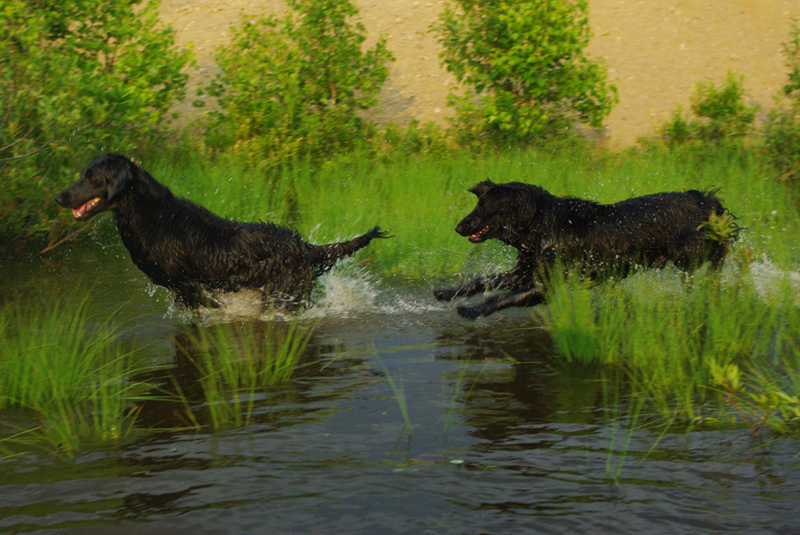 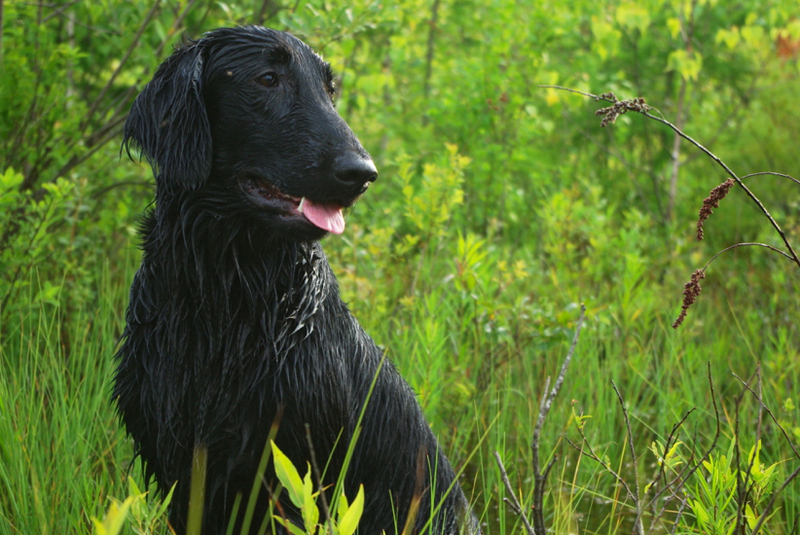 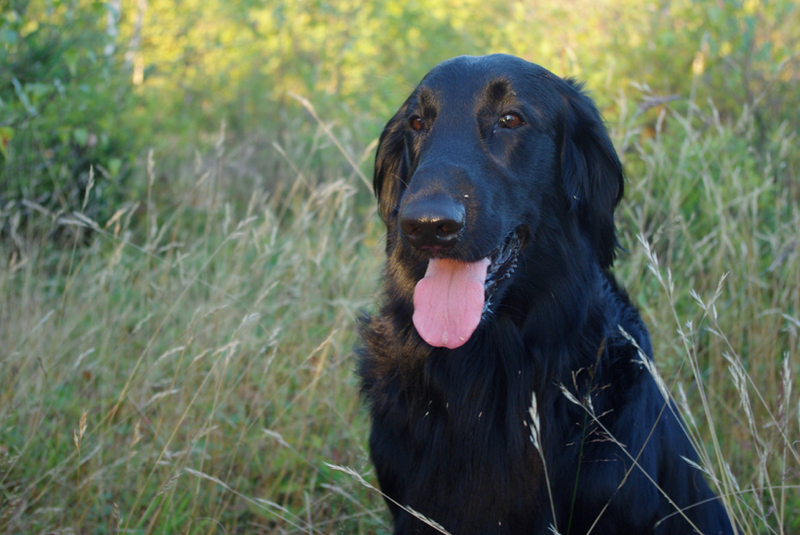 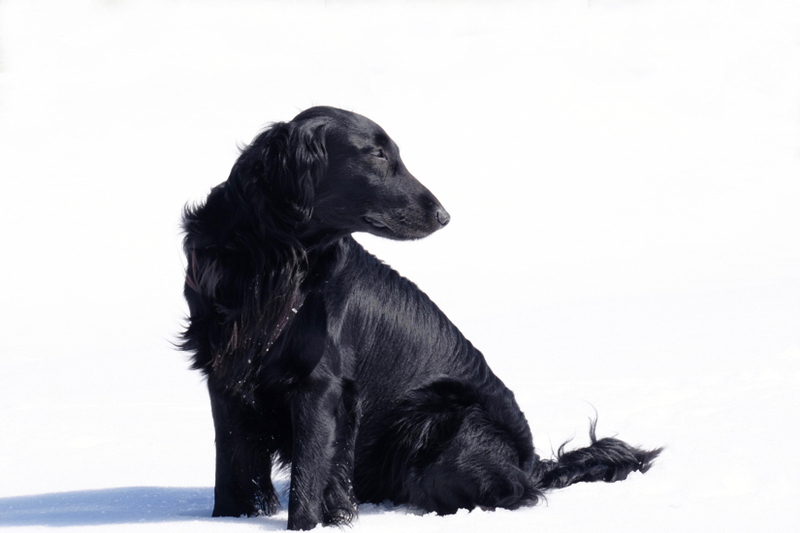 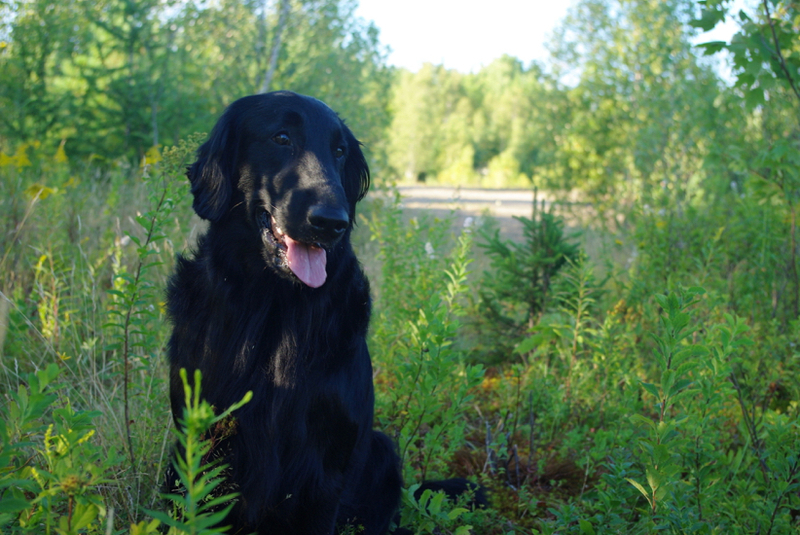 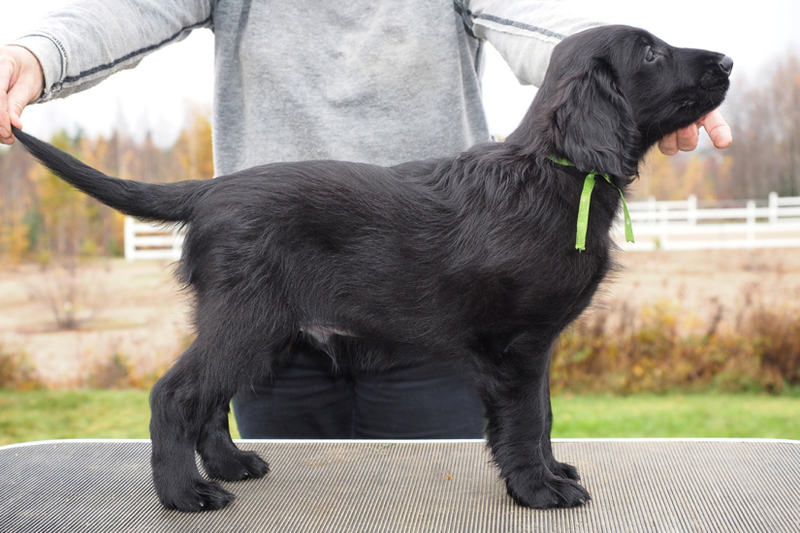 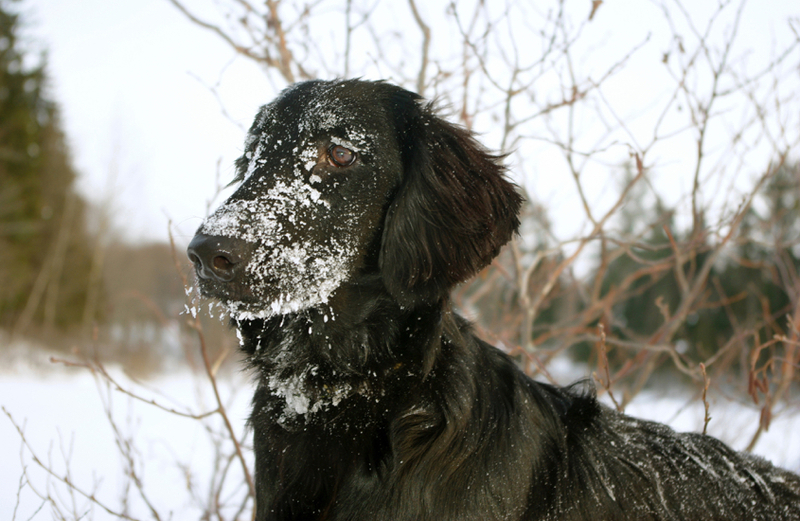 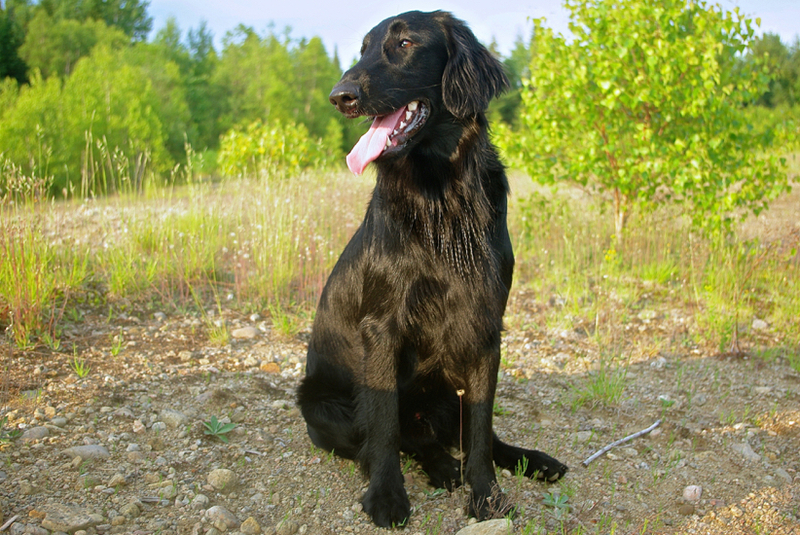 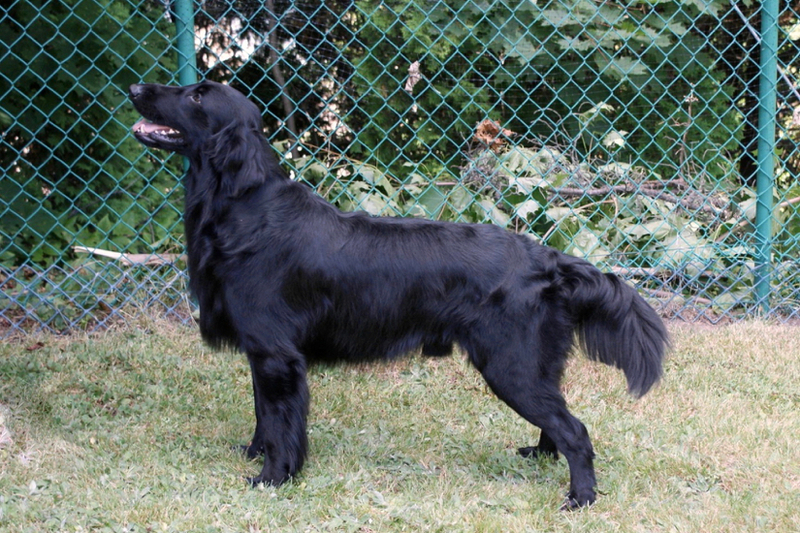 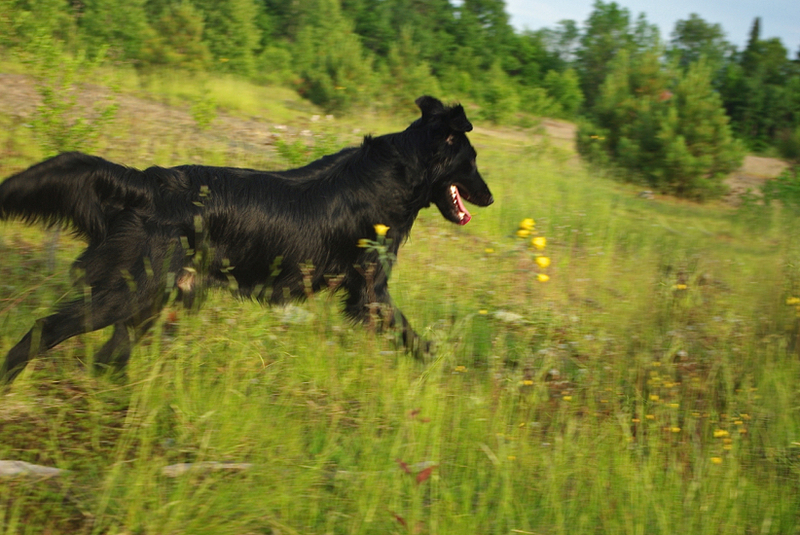 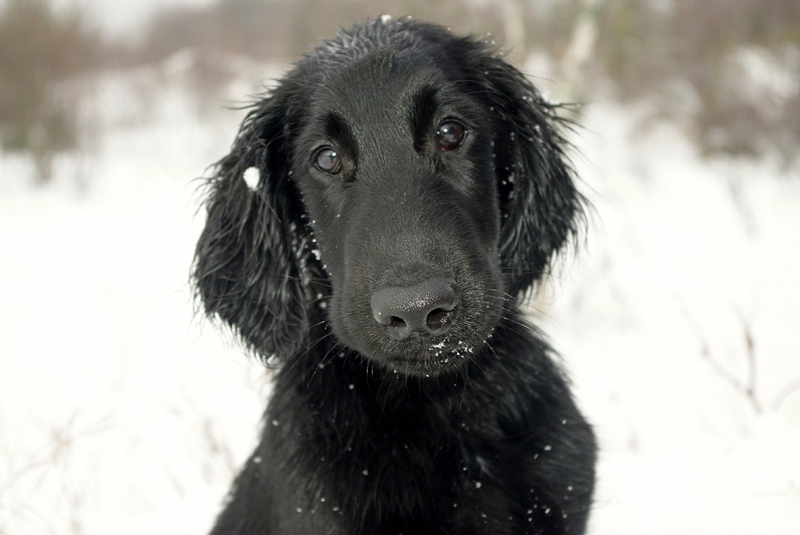 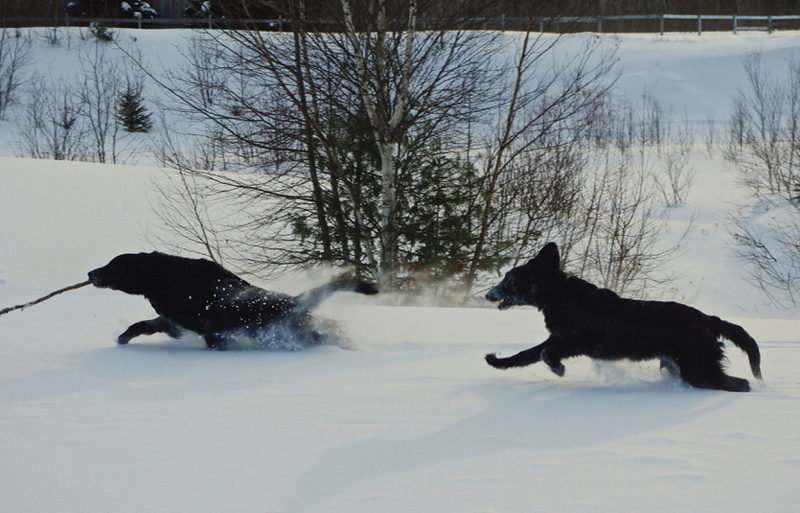 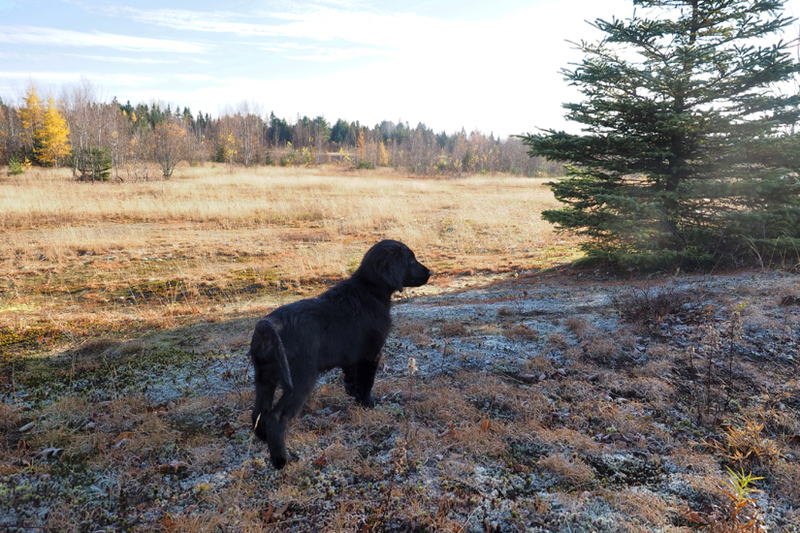 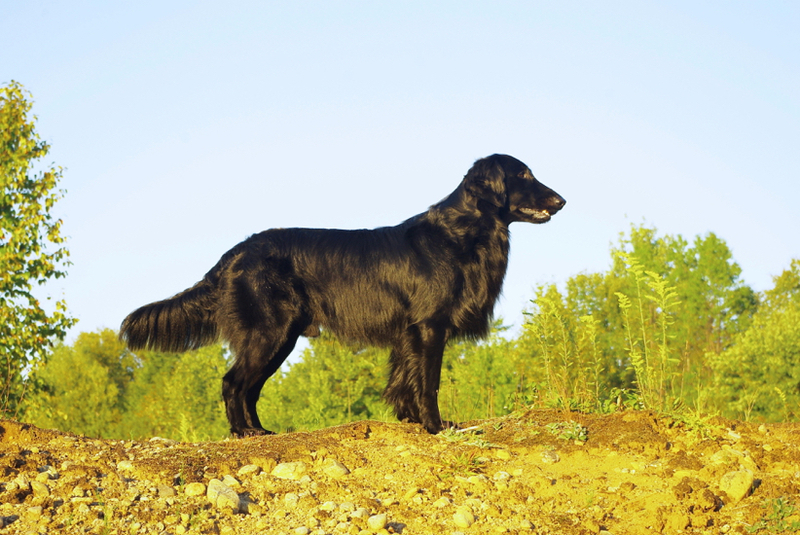 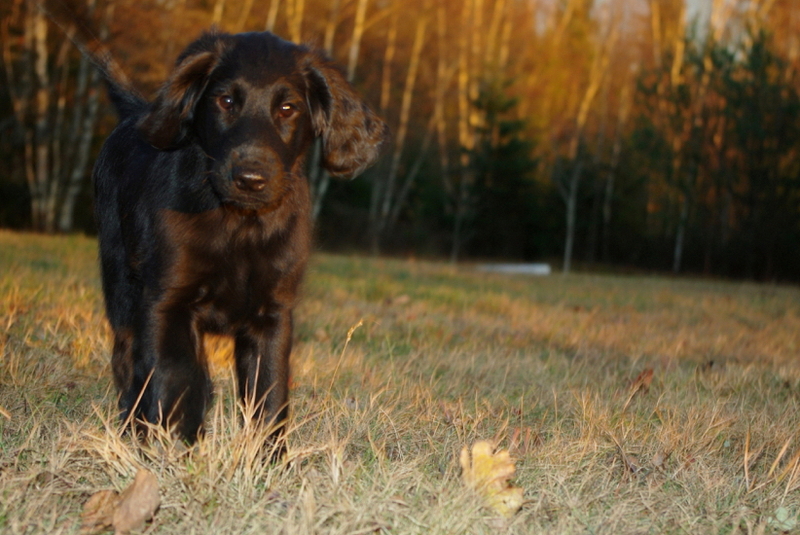 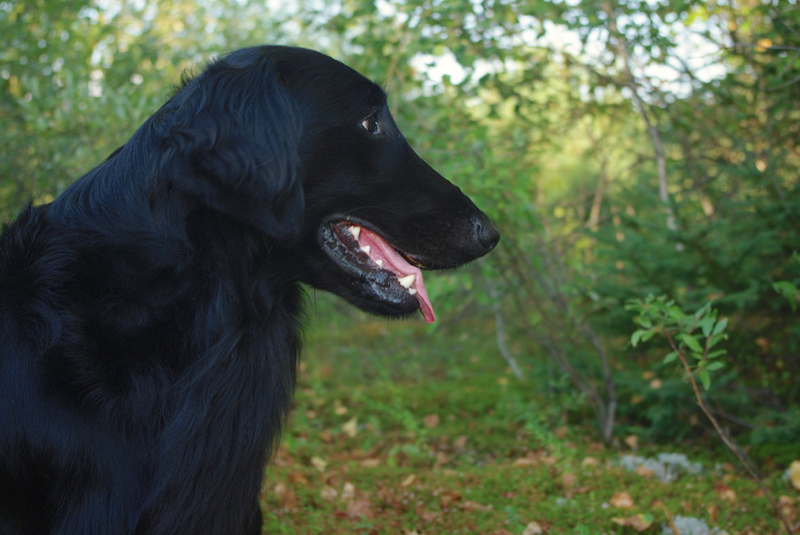 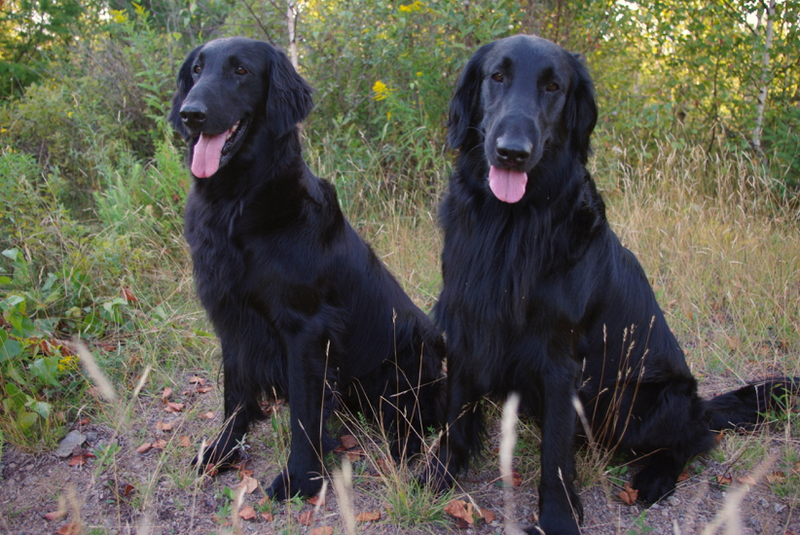 Cosmo is a typical active and enthusiastic Flatcoat without being over exhuberant. 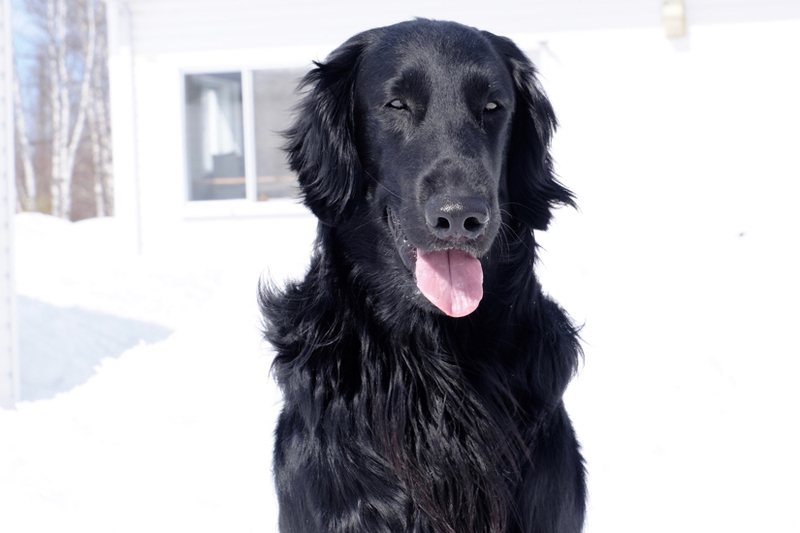 We love to have this affectionate, sweet and happy boy over for visits. 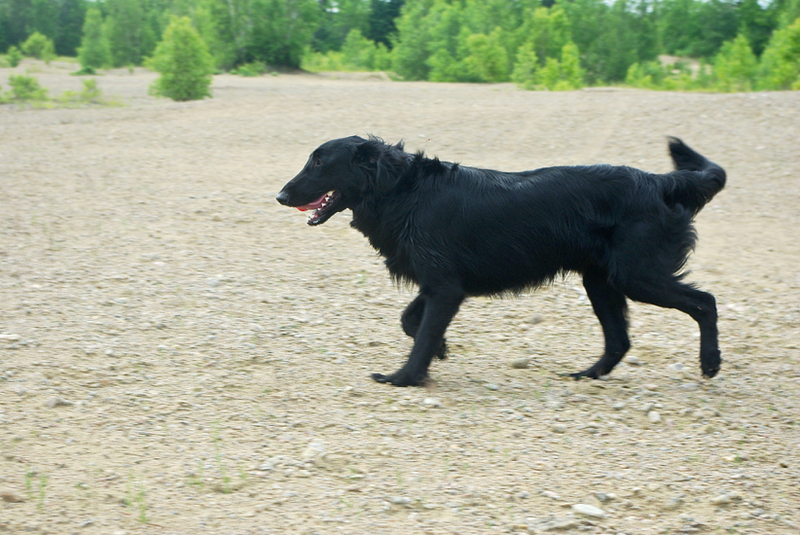 He fits right in, respectful of the other dogs when joining in their play and the best big brother to puppies… and children too. 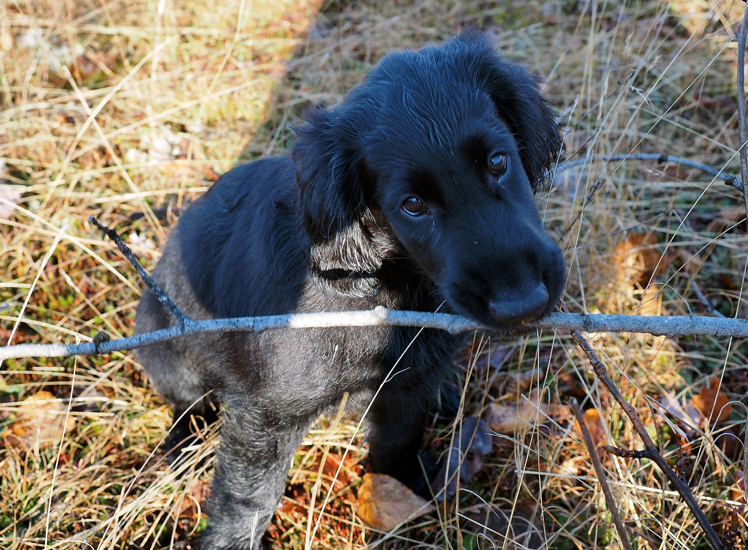 His motto is to please!